SecureSafe is leading online service for safekeeping and organizing your passworlds, online banking access codes, credit card details and important documents in a extremely secure cloud storage environment. 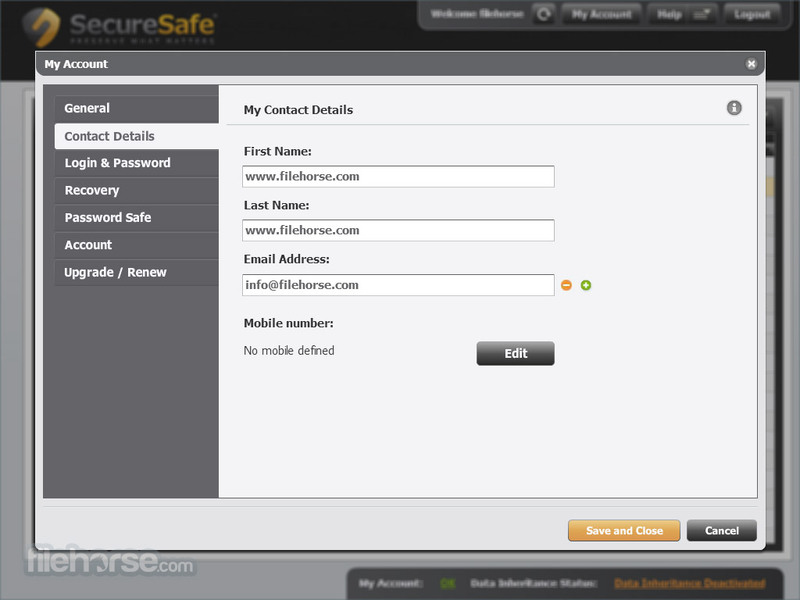 SecureSafe has carried its long experience in data storage and protection into online space, with wide array of mobile application that enable you to access your files and passwords no matter where you are – PC, Mac, laptops or portable internet connected devices such as smartphones or tablets. 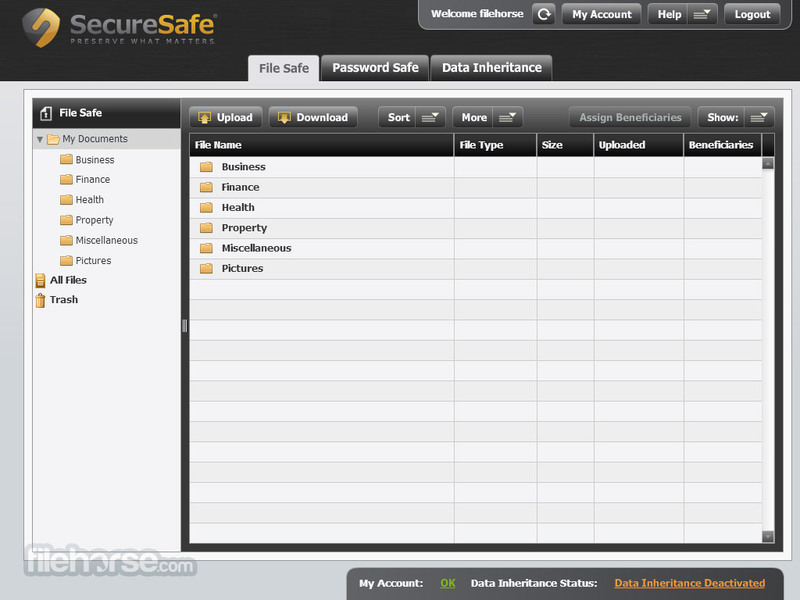 By using SecureSafe you can be sure that no one but you can gain access to your precious data, but in the case of death and emergency you can select who of your loved ones can inherit your account and access it in the times of personal emergencies. 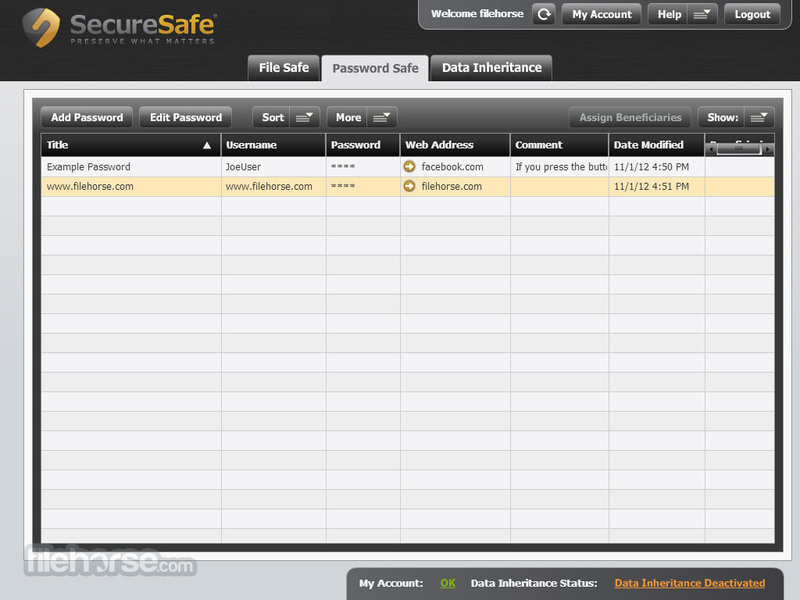 SecureSafe offers wide array of free and subscription tiers of use, so that anyone from computer novices to multinational bank corporation can use it on daily basis. Try it now for free. The Swiss safe deposit box for your documents and passwords. A safe place to keep your documents and passwords. Simply connect via any browser or iPhone/iPad/Android. Data inheritance: insurance in the event of an emergency.